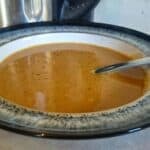 I love adapting recipes where I can which is why I took on a 7 Day Slimming World Soup Challenge for my YouTube channel. I don’t just take on any old recipe though – I like to separate the wheat from the chaff and hunt for ones with the highest of ratings. This is exactly what I did with this recipe. 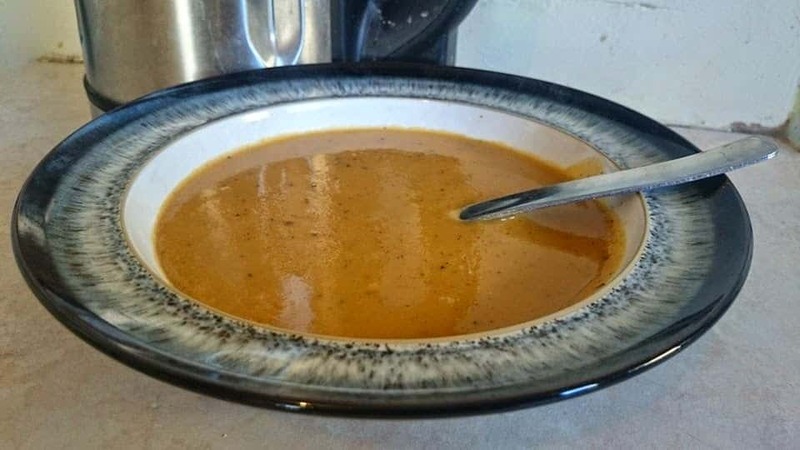 I am a huge fan of the BBC Good Food website – it’s almost an institution of good food – I am rarely disappoiinted and so I took upon myself to adapt Jane Hornby’s Spiced Carrot & Lentil Soup for my SW 7 Day Soup Challenge Series this March. What is making my life easier, or giving me more courage is my trusty Morphy Richards soup maker (original version). However, I have learnt a valuable lesson on Day 1 today as I film while experimenting – always put all of your ingredients into the soup maker first as a trial to see if the quanity level reaches the allowed amount – if not, it won’t turn on! And so after changing the Olive Oil for frylight, I realised I needed far less water in the soup maker, so had to blend raw ingredients like mad for it to shrink, then add more water. I was in fear it would catch on the bottom and ultimately be far too thick (so held back some stock) – in fact, the consistency was perfect – if I added extra water, it would have been too thin. I am confident this would freeze fine as there is minimal dairy in the recipe. Someone also asked me via facebook yesterday whether it would cook in a slow cooker – I could only answer that I imagined so – I think this would be a great idea on low – however, if anyone does try this method, please let me know how you got on. If you try this recipe, don’t forget to tag me in on your instagram/twitter picture! Frylight a deep pan (deep if not using a soup maker) and fry the cumin seeds & chilli flakes until they are making crackling noises. Now reserve half of the cumin and chilli for soup decoration at the end. Pour all of the remaining ingredients in to the pan (or soup maker), including the cumin & flakes still in the pan.